I don’t mean that in an inner-peace kind of way. It’s hard to even get out of bed in the morning without that. Just don’t get too comfortable with the status quo in your personal life—even if you like it. This is particularly hard for men. We crave routine and stability. And our bodies don’t respond well to harsh or drastic change. But our entire lives involve change. Hell, it might be the only real earthly constant we have. Like it or not, change is coming. This manifests itself in the form of social, political, economic and seasonal weather changes. But even more importantly, it happens in our personal lives. I have to believe all of you—while experiencing very different realities than me—must have felt the weight of all the changes in your life as we’ve collectively flipped the pages on our calendars. Everyone’s life stages are going to look and feel different depending on our individual set of circumstances. But for many of us, it starts with being a very young child at home. We go to elementary school. Then eventually high school. Some of us head off to college, or the workforce, or join the military. We experience life on our own for the first time. Some of us get married. Some of us have children. We change jobs. We gain friends. We lose others. People you know get divorced. People you know start to die. The only constant is change. Sometimes radical change. And it’s hard. Even when it’s good—like getting your first job out of college in a gorgeous beach community 1,000 miles from everyone you know and love—it’s hard. One of the world’s best modern thinkers is a man named Seth Godin. Anyone working in sales and marketing has almost certainly heard of him. The great thing about Godin’s work is that many of his lessons aren’t just about maximizing profits. They’re about maximizing the human experience. Godin is a great marketer because he understands people. I sometimes think he knows us better than we do. He’s a magnificent thinker and writer. Please read him. He wrote recently about professional change. About staying flexible and nimble. 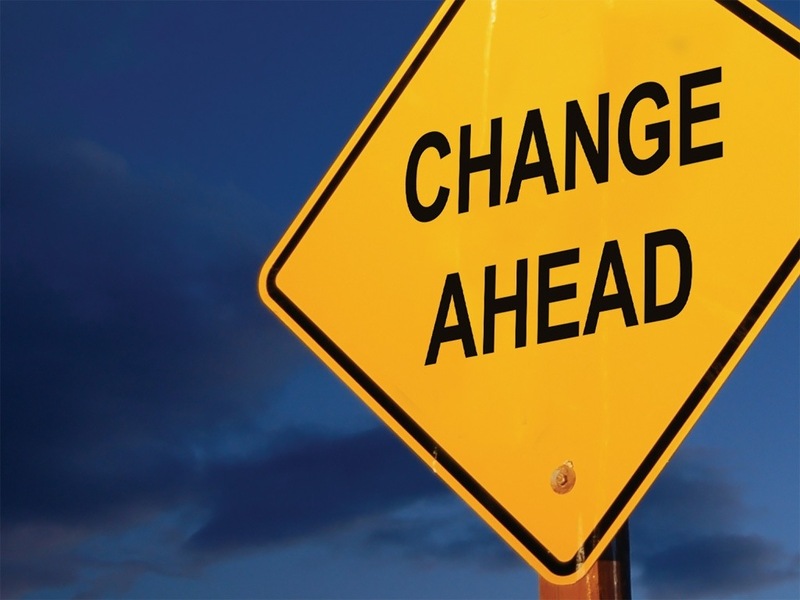 About staying ahead professionally by adapting to the new culture of change. And it got me thinking: Can we adopt the rhythm of change in our personal lives? And could doing so somehow save us from some of the stress and heartache we feel? I’m not sure. But it feels worth exploring. Maybe you’ve heard this before: Chance favors the prepared mind. Louis Pasteur, a French scientist, said that in 1854. We don’t get lucky. We don’t find luck. Luck finds us. Because we make good choices that put us in a position to capitalize on the opportunities life grants us. So, let’s be mindful of this. To be strong and courageous in the face of hardships. And perhaps more importantly, so we’re in a position to seize good fortune when it finds us. Because you and me? We’re on a collision course with something life-changing and beautiful. Let’s be prepared for it.